RAINBOW PAINTING DOES NOT WORK THAT WAY. Sure it does. I’ve painted flower petals on pots before using that technique (well, with two colors, not three). You drag one side of the brush through one paint and the other side through another. It gives you strokes that have the color bleeding into each other. 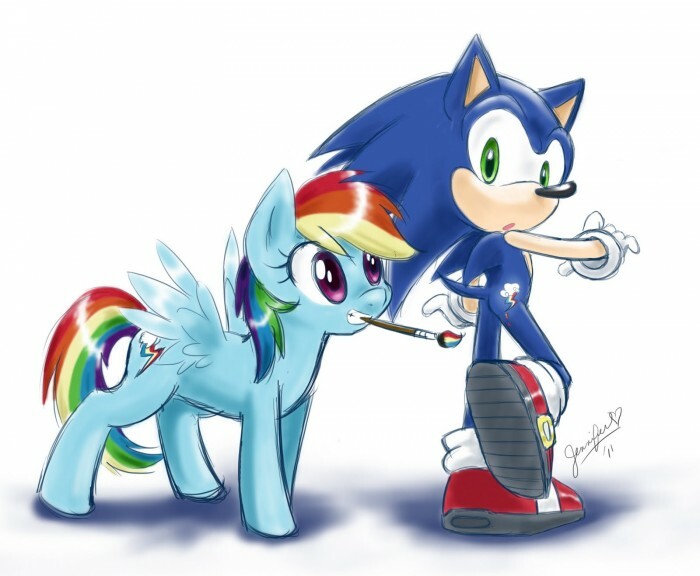 Would Sonic like to come over to Pinkie Pie’s house and make cupcakes? Nopony ever told me that it was the summer sun celebration.